A little over two years ago, Google unrolled its Penguin update and sent shockwaves throughout the world of search as it proceeded to destroy a plethora of highly-ranked websites. Not many people expected the update to be so significant, but it certainly took a toll on those who were ill prepared. What was even worse was the fact that many hired professionals who did not know how to handle the changes, and ended up making the losses even greater when it came to SEO. There are several reasons why your site may still be languishing after all of this time, and you may never recover if you don’t address them. We’ll outline a few of the reasons below to help get you on the right track. 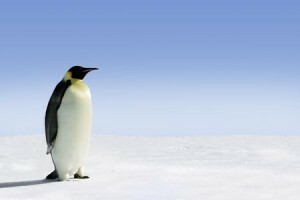 Penguin impacted sites predominantly because of the type of links present on them – namely, unnatural links. When pinging search engines with content that appears to be unnatural, you can expect that Google will penalize you for it. Up until a couple of years ago, however, this practice wasn’t as thoroughly enforced. If you want to have any chance of recovering in the future, then you’ll need to do a comprehensive cleaning of your site to remove any unnatural links. Whether the suppressions are as the result of a manual penalty or algorithms, it makes sense to quickly take care of this issue. Penguin is now over two years old, which means that it is not updated or tweaked to the same extent as newer algorithms changes. Whenever the Penguin algorithms are refreshed, any changes you have made to positively impact your rankings will be reflected. The only problem is that these refreshes can take months (but hey, if you’ve waited two years to act on this, then what’s the rush?). The last refresh to Penguin was in the autumn of 2013, just to give you an idea of the timeframe you may have to deal with. Without knowing when the next update will be, you should strive to act as soon as possible in order to get any changes indexed during the next refresh. Google Disavow now allows you to tell the search engine that you have nothing to do with sites of questionable content that may have linked to you. This was a huge development, but unfortunately occurred after Penguin. Many people never bothered to disavow bad links after Penguin, but you can still gain benefits from doing so. Similarly, some did disavow links but did so improperly; if you only disavowed a single page and not the entire domain, for instance, then you may have missed crucial other links that could be harming your credibility with the search engine. By addressing these issues now, you can begin the process of recovery. Be sure to disavow any links that appear to be unnatural or harmful to your SEO when pinging search engines, and clean up any others on your site that may send out negative signals. Do keep in mind that these updates only occur once every few months at this point, so it may take a while to see the changes.